It’s that Twinkle in the eye. A little Swagger. That quiet don’t-mess-with-this-guy-confidence. Nonchalant. Composed. Always calm. Yet hardwired for action. Friendly. But slightly aloof. Controlled. But with a hint of ready violence lurking nearby. Steve McQueen was who every little boy wanted to grow up to be. And every grown man imagined themselves to be. The Steve McQueen™ Edition Bullitt Mustang is the car every little boy wants to grow up to drive. And every grown man imagines in his garage. 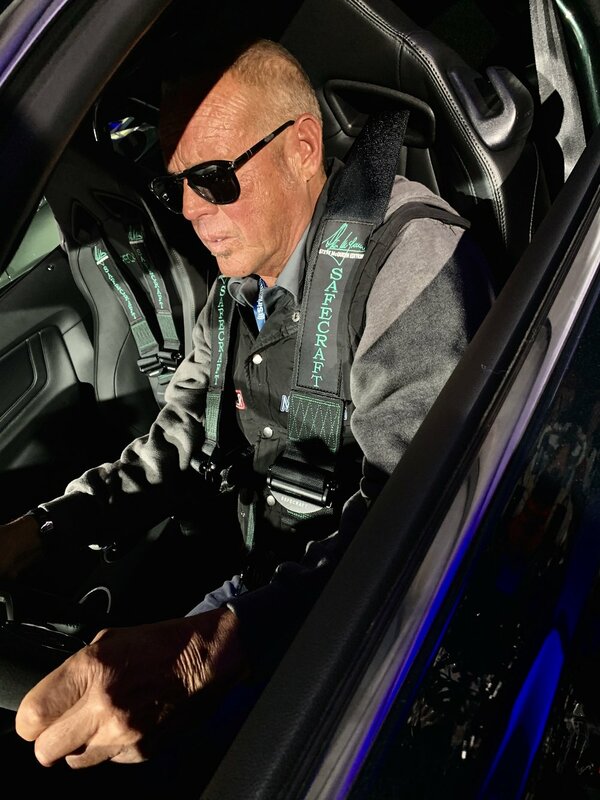 McQueen Racing, Steeda, and Galpin Auto Sports, alongside Chad McQueen, have announced the launch of the official Steve McQueen™ Edition Bullitt Mustang in a limited production of only 300/year. 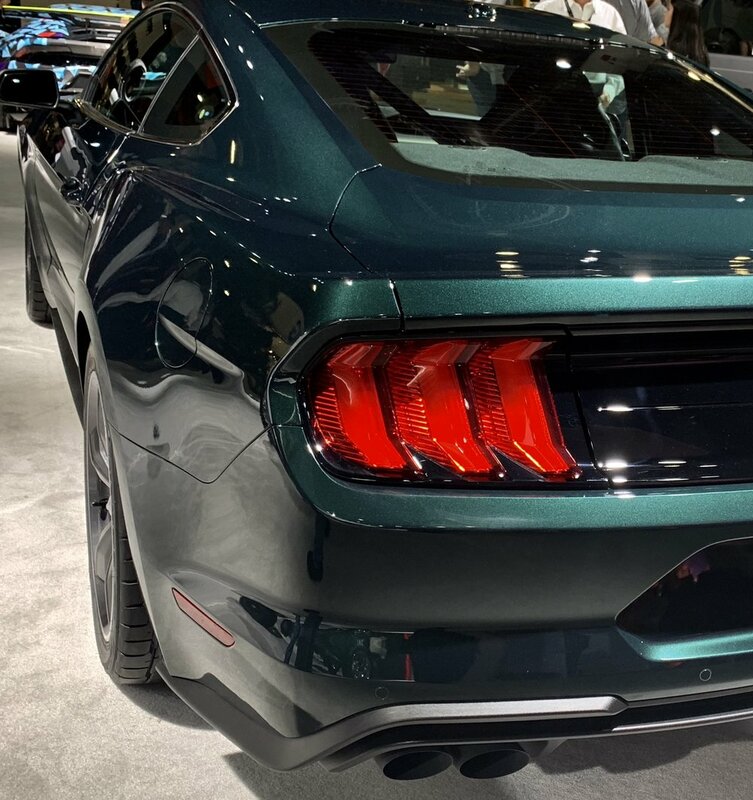 Using the stunning new Ford Bullitt Mustang as a starting point, this ultra-high performance edition has been purposely re-engineered to deliver supreme performance, improved driving dynamics, and offer an increased exclusiveness for this iconic Mustang. The dedicated engineering and performance teams have spent considerable development time to create the most quintessential McQueen Mustang possible – The Steve McQueen™ Edition. The design spec was classic McQueen - take an already excellent car and enhance power throughout the RPM band, while improving the handling capabilities suitable for both track and on-road, and give the design an even more classic restrained but undeniably cool stance that is menacing, yet understated package. In addition, with the dramatic power increases and changes to the suspension, it was necessary to also upgrade the wheel and tire fitment to give the car its distinctive stance. To accomplish this, the Steve McQueen™ Edition Project Team worked hand-in-hand with Chad McQueen and the Team at McQueen Racing to design and engineer a modern reincarnation of the classic wheel that was on the original 1968 Mustang that Steve McQueen drove in the movie. After countless design iterations, a new Steve McQueen™ Edition aluminum wheel was conceived that provides a staggered wheel fitment that optimizes the fitment of Nitto NT555 G2 High Performance tires (275/35-20 front and 315/35-30 rear). The Steve McQueen™ Edition of the Bullitt Mustang is strictly limited to 300 serialized versions (globally) per year. Vehicle reservation deposits are being taken immediately from Steeda Certified Ford Dealers and directly from Retail Customers. Act now to lock in your low assigned Certified Build Number. A customer can work directly with us and in turn, we will collaborate with your ordering dealership to have Ford Motor Company deliver your 2019 Bullitt Mustang directly to one of our four (4) assembly locations where we will transform it into a Steve McQueen™ Edition Bullitt Mustang. We will then ship it via enclosed carrier directly to you or your dealer. Just email us at mcqueen@steedavehicles.com or call 754-800-4165 to talk to one of our Performance Specialists. 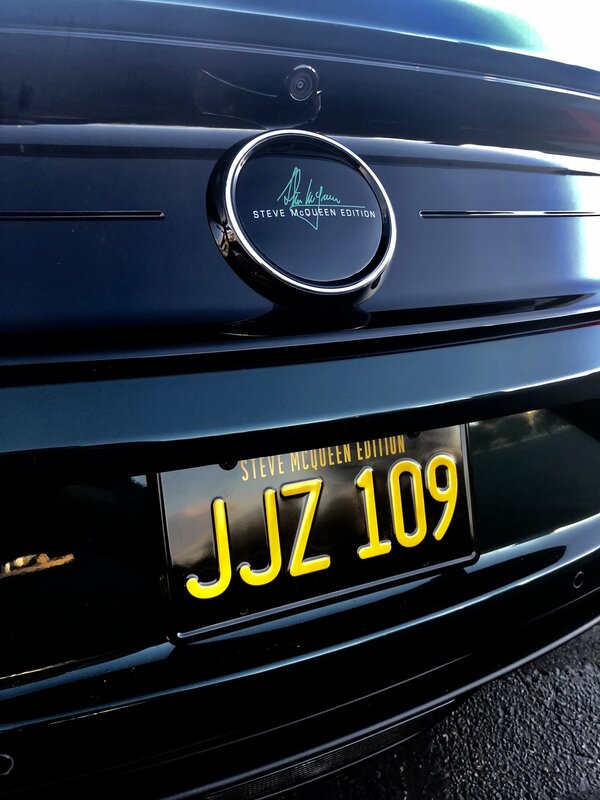 For customers that want to order a Steve McQueen™ Edition Bullitt Mustang direct from Steeda Vehicles, a donor Bullitt Mustang is required as that is the vehicle platform every Steve McQueen™ Edition is based on. We can work directly with the Ford Dealer of your choice or have you work directly with one of our preferred Steeda Certified Dealers. Once your order is in place for the donor Bullitt Mustang, we will coordinate with the ordering Ford Dealer and Ford Motor Company to have the vehicle transported directly from the Ford assembly plant to one of our four Steeda assembly locations, where we will then transform it into a Steve McQueen™ Edition Bullitt Mustang. After our modifications are complete, we will then ship it via enclosed carrier directly to you or your ordering Ford Dealer. Just email us at mcqueen@steedavehicles.com or call 754-800-4165 to talk to one of our Performance Specialists to coordinate your initial order. 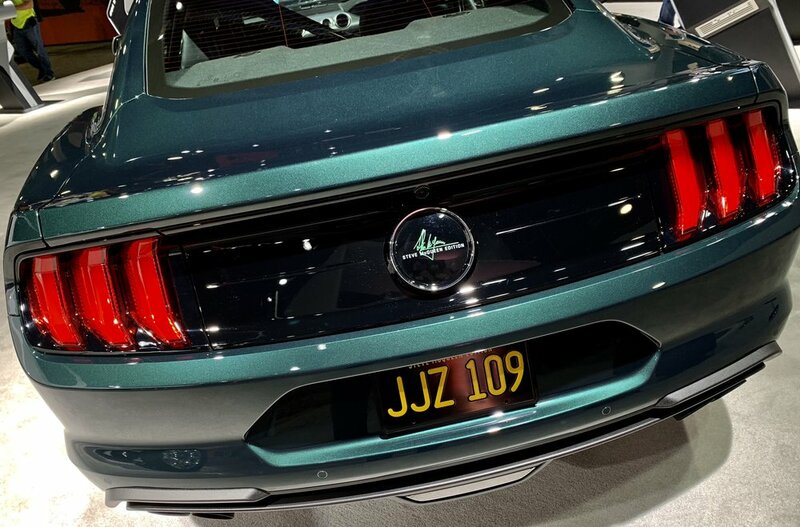 Should you have existing Bullitt Mustang orders, or have future Bullitt Mustang allocation from Ford that you desire to be transformed into a Steve McQueen™ Edition Bullitt Mustang, please contact us at: dealer@steedavehicles.com or call 754-800-4165 to talk to one of our Performance Specialists. We will coordinate the order with you, secure your Steve McQueen™ Edition Bullitt Mustang allocation with us, and facilitate the direct drop shipping of the donor vehicle directly from the Ford Motor Company assembly plant directly to one of our four assembly locations. Once assembly is complete, we will ship it to your dealership in an enclosed carrier. It’s that Twinkle in the eye. A little Swagger. That quiet don’t-mess-with-this-guy-confidence. Nonchalant. Composed. Always calm. Yet hardwired for action. Friendly. But slightly aloof. Controlled. But with a hint of ready violence lurking nearby. Steve McQueen was who every little boy wanted to grow up to be. And every grown man imagined themselves to be. The Steve McQueen Edition Bullitt Mustang is the car every little boy wants to grow up to drive. And every grown man imagines in his garage. 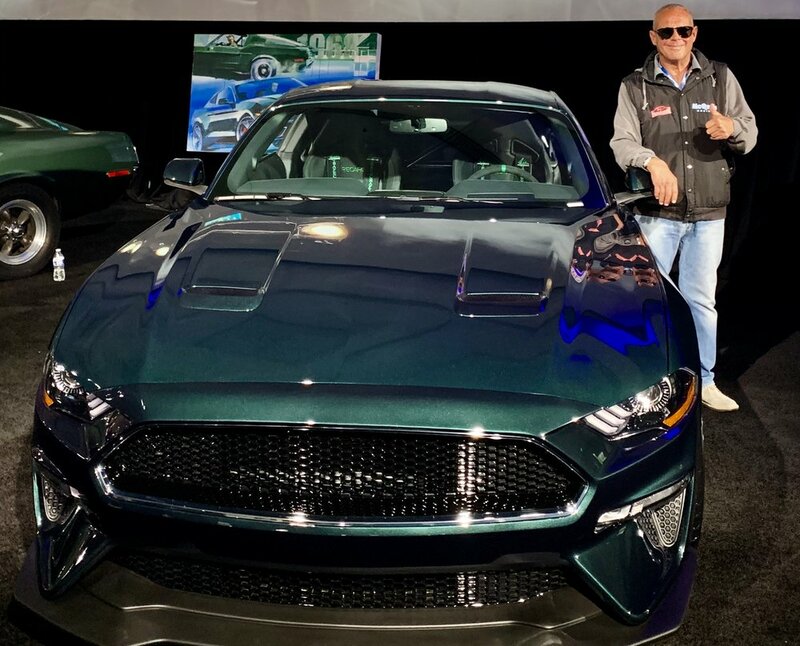 McQueen Racing, Steeda, and Galpin Auto Sports, alongside Chad McQueen, have announced the launch of the official Steve McQueen Edition Bullitt Mustang in a limited production of only 300/year. Using the stunning new Ford Bullitt Mustang as a starting point, this ultra-high performance edition has been purposely re-engineered to deliver supreme performance, improved driving dynamics, and offer an increased exclusiveness for this iconic Mustang. The dedicated engineering and performance teams have spent considerable development time to create the most quintessential McQueen Mustang possible – The Steve McQueen Edition. The design spec was classic McQueen - take an already excellent car and enhance power throughout the RPM band, while improving the handling capabilities suitable for both track and on-road, and give the design an even more classic restrained but undeniably cool stance that is menacing, yet understated package. In addition, with the dramatic power increases and changes to the suspension, it was necessary to also upgrade the wheel and tire fitment to give the car its distinctive stance. To accomplish this, the Steve McQueen Edition Project Team worked hand-in-hand with HRE Wheels to design and engineer a modern reincarnation of the classic wheel that was on the original 1967 Mustang that Steve McQueen drove in the movie. After countless design iterations, a new Steve McQueen Edition HRE FlowForm aluminum wheel was conceived that provides a staggered wheel fitment that optimizes the fitment of Nitto NT555 G2 High Performance tires (276/35-20 front and 315/35-30 rear). The Steve McQueen Edition of the Bullitt Mustang is strictly limited to 300 serialized versions (globally) per model year. Vehicle reservation deposits are being taken immediately from Steeda Authorized Ford Dealers and directly from Retail Customers. Dealers should email dealer@steedavehicles.com; interested Retail Customers should email mcqueen@steeda.comor call 954-633-5240 and talk to one of our Performance Specialists for details & support on how to order this highly collectible Mustang. Consumer Inquiries– Please email mcqueen@steedavehicles.comor call 954-633-5240 to talk to one of our Performance Specialists.